Weaving is absolutely the best stash buster ever. 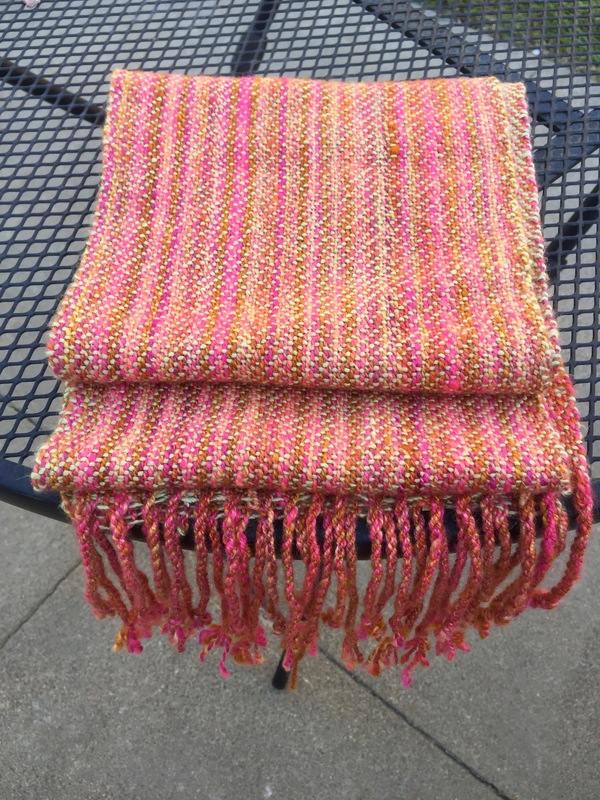 I can start warping a loom on Friday evening and have a finished scarf on Sunday. It’s JUST that quick. Which is amazing to me. The unseasonably warm temps around here didn’t hurt either, I washed the scarf, and set it out in the sun while I went for a motorbike ride. Upon my return, it was dry. 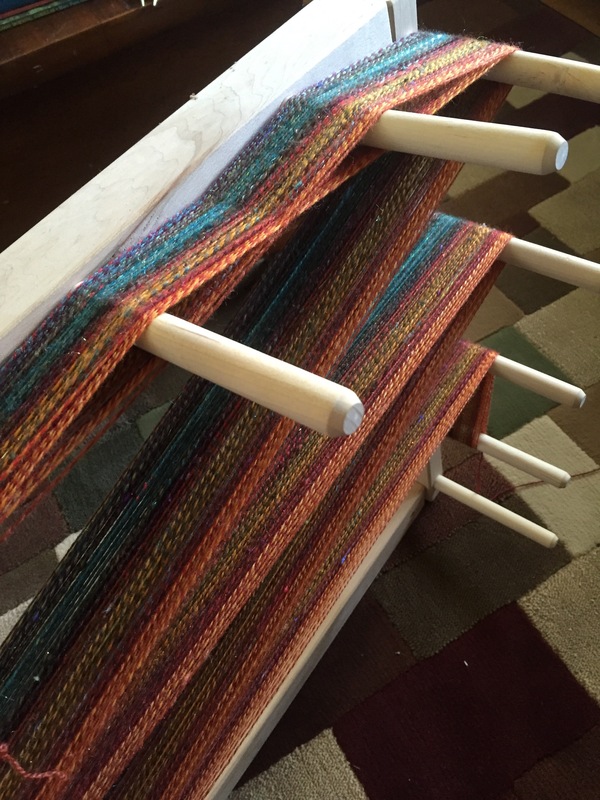 I actually tied on the warp for my next scarf to this warp so that I didn’t have to worry about rewarping the loom. This is the remainder of my yarn from my Smaug batt and braid. It’ll be a much thinner scarf, or, something else entirely, but I really wanted to see what this looked like with a dark weft. At this point I am just experimenting madly with the look. Throw a warp on there and go to town. It feels great, very freeing. One of these days I really will start looking up patterns and using them. But for now, I am enjoying the freedom of creativity.